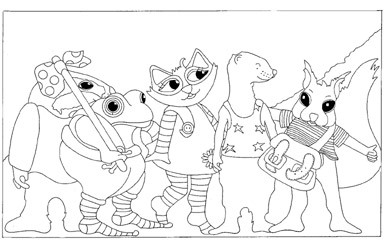 Would you like to print one or more of these drawings from my books about me and my friends so that you may colour them in? If so, first make certain that your printer is ready to print in portrait format, second click on the drawing you would like to print and it will become bigger, then use the normal print button which is on this web page. It is free. Good luck and happy colouring. 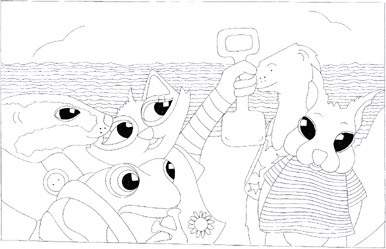 There are a number of Colouring Books which are based upon the stories about the adventures of me and my friends that are available through my website. ‘Cyril The Squirrel And The Secret Of The Woods,’ and ‘Cyril The Squirrel And A Day At The Seaside’ are the titles of two Colouring Books that are each based upon one story. 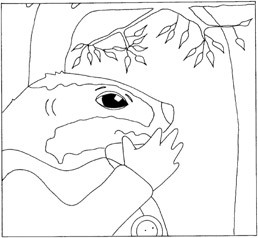 There is, however, another Colouring Book that is based upon two stories, one story is ‘Cyril The Squirrel And The Secret Of The Woods,’ mentioned above, and the other, also written by Peter Barratt, is called ‘Dillon Dinosaur Starts A Pop Group’ and is from his series of stories about Dillon Dinosaur. The cost of a Colouring Book based upon one story is £1.80 and cost of the colouring Book based upon two stories is £2.80. All books are subject to a contribution to the cost of postage and packing to the UK of £1.30 or a generally higher level beyond the UK. It is worth noting that the cost of postage and packing for four of the books purchased at one time would amount to only £1.30. 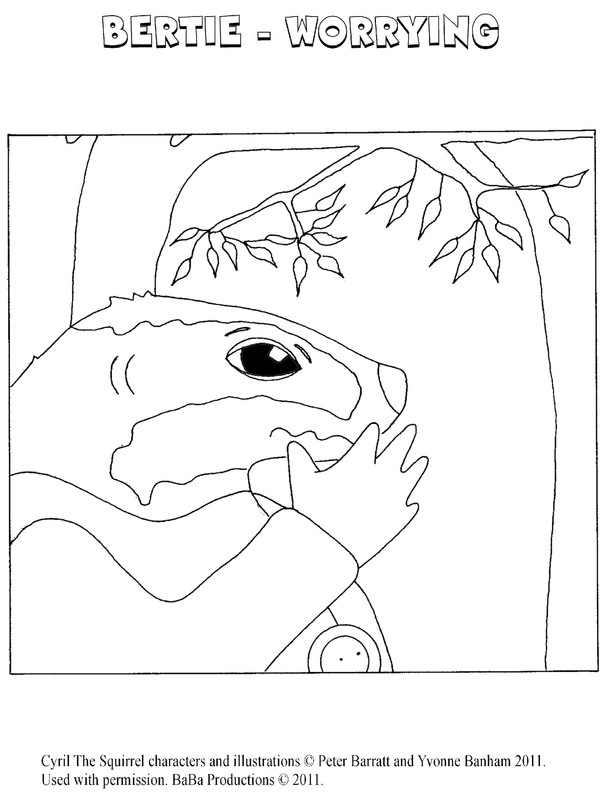 To see more information about the Colouring Books, click on the button for My Books & Images at the top of this page. I hope you like them.